Sheffield is the fifth largest city in the UK. It is located in the middle of the UK in South Yorkshire, England. The city has a large student population, meaning that life in the city can be fast-paced and jam-packed one day, and chilled out the next. Sheffield is a geographically diverse city. It is located close to the Peak District, which is known for some of England’s most spectacular scenery. Much of the city is built on hillsides with views into the city centre or out to the countryside. 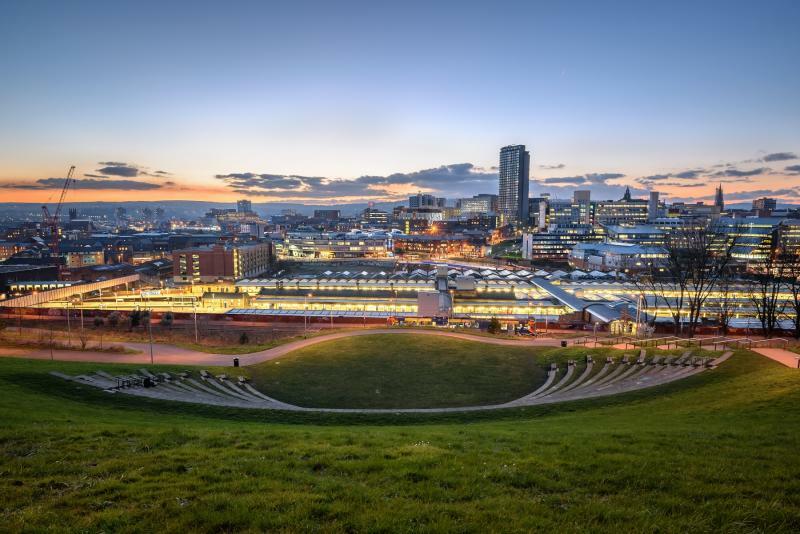 If you love the great outdoors and city culture, explore top running, walking, climbing and city experiences or just having fun and games, there is nowhere better to live than Sheffield. The Sheffield Botanical Gardens are a must-visit. Sheffield also boasts some of the best theatres outside of London; for example the old Lyceum theatre. There are a number outdoor festivals held in Sheffield every year, they can be found here. For party lovers, this international city boasts a variety of nightclubs and restaurants, ensuring everyone can find something for their liking (read more below). Sheffield is safer than other big cities – the UK Peace Index 2013, a study using Home Office data, found Sheffield to be England's safest major city. It's an easy-going and tolerant place to live, and local people welcome the contribution students make to life in the city. You'll have no trouble getting around the city. You can use the Stagecoach Supertram network or hop on a local bus - the network is vast with no corner of the city not reached. Stagecoach Supertram: all trams are accessible, with regular stopping points throughout the city centre. Located next to the M1, the city is easily accessible by car, and with good traffic a drive to London can take around three hours. There are 28 secondary schools in Sheffield. The top three highest rated schools are Notre Dame High School, Silverdale School and Tapton School. In terms of primary schools there are large numbers in every area so you will be spoilt for choice. Find schools near you on Sheffield Council website. There are 2 universities located in Sheffield: University of Sheffield and Sheffield Hallam University. The cost of living is less here than in just about every other university town in the UK. Sheffield offers a wide range of food and drinks shops, reflecting its cultural diversity. Go to London Road for a culinary tour around the world. Kelham Island for a real ale trail. The Devonshire Quarter for independent coffee shops and US-inspired deep-fried chicken and doughnuts. Sheffield is also known as the UK’s real ale capital with around 1,000 different beers produced in the city every year. Sheffield is a major retail centre. It’s main market was once Castle Market, built above the remains of the castle. Now it is a home to many High Street and department stores as well as designer boutiques. The main shopping areas in the city centre are on The Moor precinct, Fargate, Orchard Square and the Devonshire Quarter. The student population means that nightlife in Sheffield is essentially 24/7. There’s always somewhere to go. Clubs range from dance clubs, rock clubs, indy club, punk clubs, pop club. Almost every style off club you could think of. View the list of nightclubs here. Search for social housing properties available immediately via Homefinder UK in Sheffield here.